Here’s what you’ll see today if you’re among those along the path of totality, where the eclipse will be the darkest and longest. 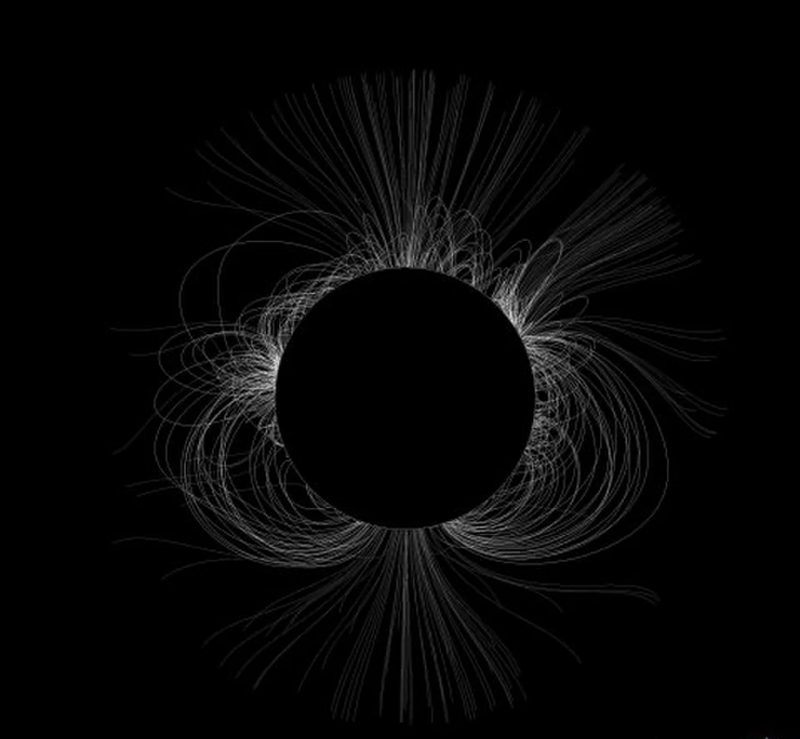 Researchers from the National Solar Observatory Integrated Synoptic Program predict the structure of the solar corona for the 2017, total solar eclipse. The field lines of a solar coronal magnetic model shown in the image are based on measurements taken one solar rotation, or 27.2753 Earth days, before the total solar eclipse. GUEST BLOG / By Samantha Mathewson, Space.com contributing writer--With the Aug. 21 total solar eclipse finally here, astronomers have revealed what the sun's outer atmosphere is likely to look like as the sun disappears behind the moon. 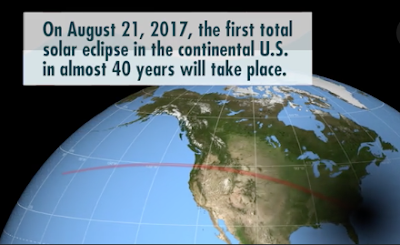 The rare eclipse will sweep across the continental U.S. from Oregon to South Carolina along a stretch of land about 70 miles (113 kilometers) wide. Skywatchers within this path will experience totality, when the moon appears to move directly in front of the solar disk and casts a long shadow on Earth. Viewers outside of the path of totality will still experience a partial solar eclipse. During a total solar eclipse, skywatchers have the opportunity to see the sun's glowing outer atmosphere, known as the corona. The jets and streamers present in the corona become visible because the moon blots out much of the bright light of the sun's disk, which typically overwhelms the light from the corona. Here's what was predicted a month ago: "Since we are exactly one solar rotation away from the solar eclipse, we're able to use today's observations to predict the structure of the corona on Aug. 21st," Gordon Petrie, an astronomer from the NSO, said in a statement in early August. "The corona is not likely to change too much between now and the eclipse, unless we get lucky and a large active region appears!" Samantha Mathewson joined Space.com as an intern in the summer of 2016. She received a B.A. in Journalism and Environmental Science at the University of New Haven, in Connecticut. Previously, her work has been published in Nature World News. When not writing or reading about science, Samantha enjoys traveling to new places and taking photos! You can follow her on Twitter @Sam_Ashley13.